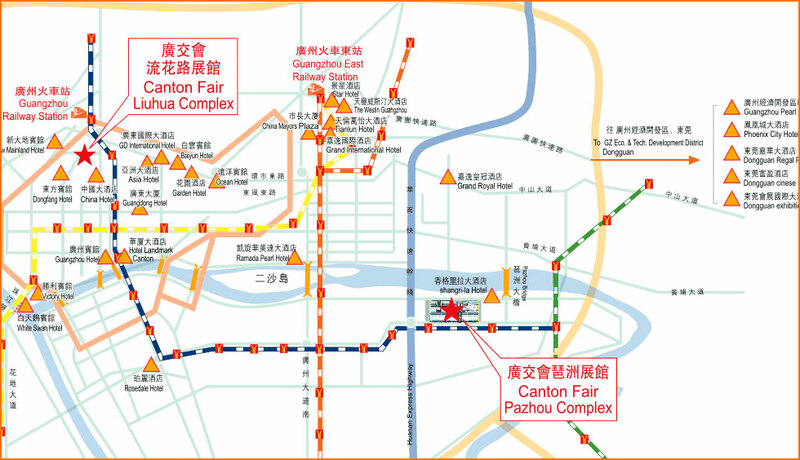 You are currently browsing the tag archive for the ‘Canton Fair’ tag. Chinese exporters may feel the pinch by experiencing a sluggish trading atmosphere in the 103rd Canton Fair Yet, it may also be the right moment for them to rethink of their online marketing strategy. Tough year for exporters at 103rd Canton Fair! From what we’ve seen in the last session of Canton Fair, we found not as many buyers from the U.S. and the European countries as it used to be. Instead we’ve seen Indians, Pakistans and some other South Americans seeking for bargains. The show has so far secured 128,155 foreign buyers in attendance, a 5.8 percent decrease than the last spring fair. The number of US importers slipped 23.3 percent and those France, Germany fell 11.8 and 9.5 percent, respectively. Some sophisiticated suppliers admitted that they should look for additional channels to promote their products other than using offline promotion in trade shows. Over the past few years, we’ve seen a collection of B2B marketplaces springing up in the China territory, which help removing hurdles in global trade by taking advantage of online community and trading platforms. To use an analogy, the situation the Chinese exporters are now facing is like a glass filled with half water. You can tell it’s half empty permissively or you can be positive enough to say there’s still another half need to be refilled. It’s a matter of how you think. Besiegned with the rising yuan and unfolding credit crisis in the U.S., it’s widely expected that there’s a slowdown of purchasing orders and buyers’ turn-out rate in the trade fair. China’s exports to the United States rose just 5.4 percent in the first quarter over the same period last year. Exports to the European Union, which overtook the United States last year as China’s biggest trading partner, rose 24.2 percent in the first quarter, while shipments to Vietnam, Brazil and Russia leaped by 89.5 percent, 77.6 percent and 51.6 percent, respectively. “External demand from Western countries, including the United States, Britain and Europe, is very sluggish, which does not support such a fast rise in export growth,” said Zhao Qingming, an economist at China Construction Bank in Beijing. Early in April, the World Bank cut its 2008 forecast for China by 0.2 percentage points to 9.4 percent — its second reduction in as many months. The Asian Development Bank also lowered its 2008 forecast for China’s economic growth to 10 percent from 10.8 percent. Subsequent to our latest article of “Canton fair 2008: Make appointment with supplier online“, we see the special edition of “103rd Canton Fair Special” online today. 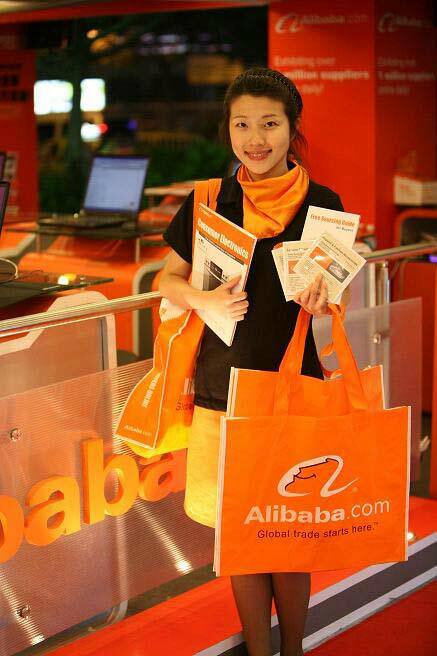 Despite the cheerful lady with a handful of Alibaba’s striking orange bags in her arm, the Canton Fair feature site also offers some unique features that capture buyers’ attention. The Supplier Map will be benefical to those who are interested in seeking suppliers from different regions: Foshan, Dongguan, Jiangman, Huizhou and Shenzen etc. The visual map incorporated with a simple-to-use search function can take online users back to Alibaba.com supplier search. A reminder though – make sure you turn off your pop-up window blocker, or you will get frustrated very easily! !